As you may know I was in New York last December with Mr. FFID for part trois of our honeymoon. 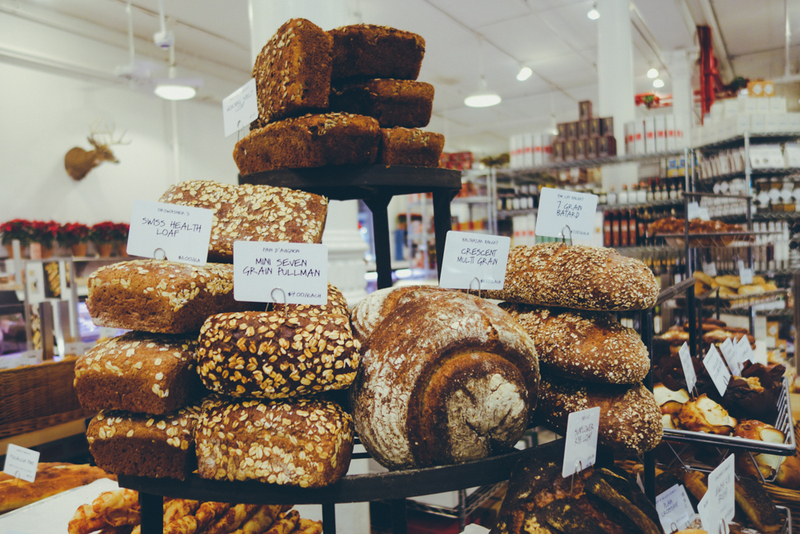 I shared a few spots I liked in Brooklyn and today in this post I'm throwing in all the spots that we visited in NYC that I'm happy to recommend. We didn't go to fancy restaurants so it's all about casual places and to be honest with you, our most expensive meal was in a Michelin starred gastropub which wasn't good enough to be included in this list. All these places are in different parts of Manhattan but my tip (and for food travel in general) is to create a Google map and pin all the places you want to try out - and then eat your way along that map. 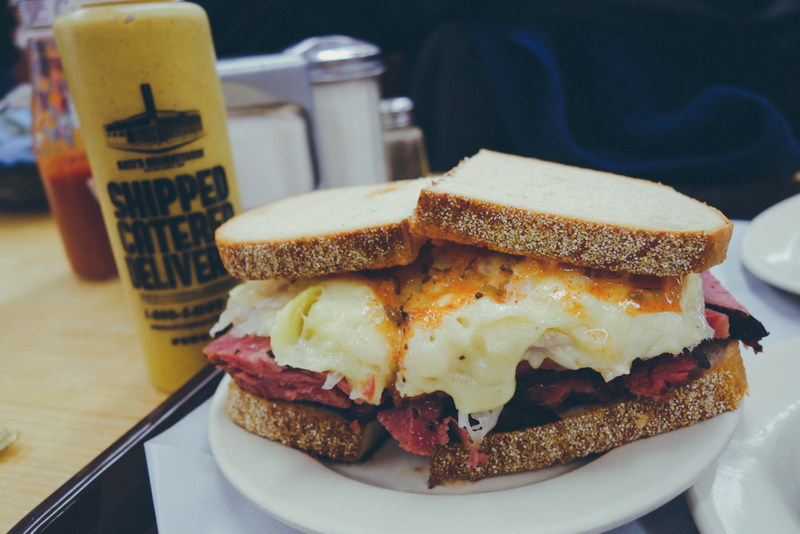 Needing no introduction, Katz's Delicatessen is where masses of locals and tourists visit each day to try their famous pastrami on rye bread. Katz started as far back as 1888 on another location across the street but then was moved to his current location when the subway was being built. It's an unreal experience, the place is massive and there is a very strict queueing/ordering system. The pastrami cutters really make it a show and make you taste the meat too! I didn't have high expectations but my Reuben sandwich with pastrami was the best sandwich I've ever eaten. It's $20 for it but there's enough for two people like us. A must-visit! This is a cute little cafe open for breakfast, brunch, lunch and dinner which reminded me a bit of a Parisian bistro. The menu features salads, sandwiches, mezzes and dishes with Mediterranean influences. It's a great option if you're looking for somewhere for brunch, I had delicious rosewater waffles with red berries and Mr. FFID had eggs and soldiers. The most heavenly food hall of all, now I know where Fallon and Byrne got the inspiration from... Dean and Deluca is not only a beautiful food shop but it has everything you could wish for as a food lover. From cheese to chocolate, from cooking utensils to freshly made sushi, it's the kind of places where I can easily loose track of time! Fantastic if you're looking to bring back some foodie gifts. I actually read about this place in Cara magazine on my Aer Lingus flight to New York. Super talented young Irish chef Mark Moriarty mentioned it in a feature in which he gave his food tips around the world. Xi'an Famous Foods has different locations around New York and serve cuisine from Xi'an, a city situated in the Northwestern region of China. Because Xi'an is at the start of the Silk Road, its food is a mix between Chinese and Middle Eastern flavours. We visited the midtown location, it's a no frills take-away/eatery with very few seats but we loved the food. They're famous for their hand-pulled noodles so we got the stewed oxtail hand-ripped noodles, the spicy cumin hand-ripped noodles and also their spicy cumin lamb burger. Food wasn't pretty but it certainly didn't lack flavours or spices! Another fantastic food hall, this one is for all the Italian food lovers out there. Eataly has its headquarters in Turin in Italy and many locations all around the world including in New York, next to the Flat Iron building. 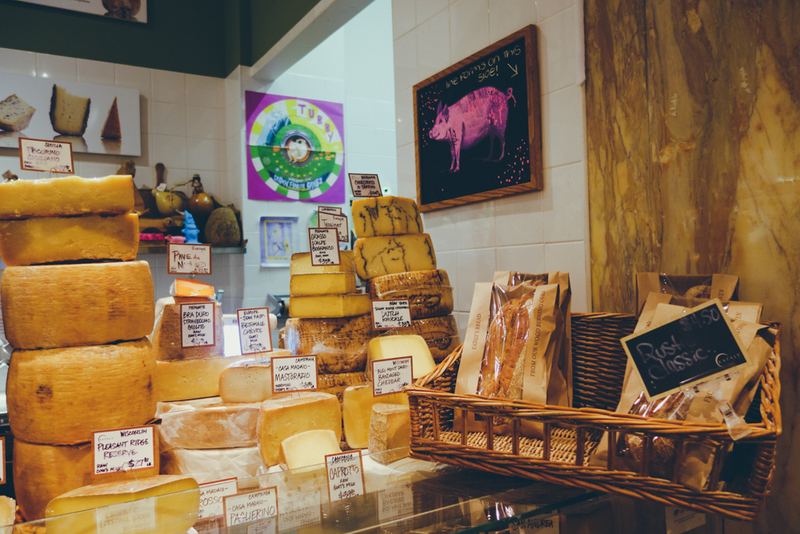 They have different market sections ranging from cheese to cured meats, truffles to wine, fresh pasta and even a Nutella bar.... You can also eat in at one of the different restaurants located onsite. 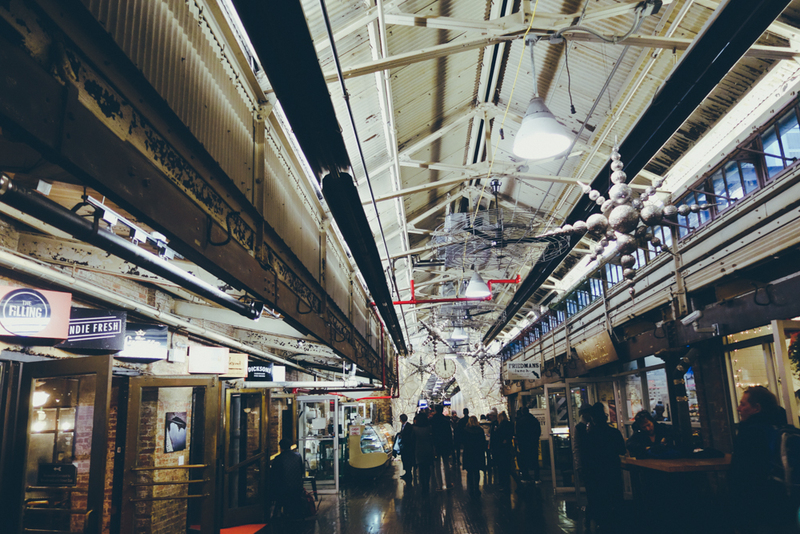 I have this thing with covered markets/food courts and I obviously loved visiting Chelsea Market. Open 7 days a week, this neighbourhood market is designed beautifully and filled with fantastic food stands, shops and cafes. There's a great variety of food products and cuisines guaranteed to satisfy everyone... 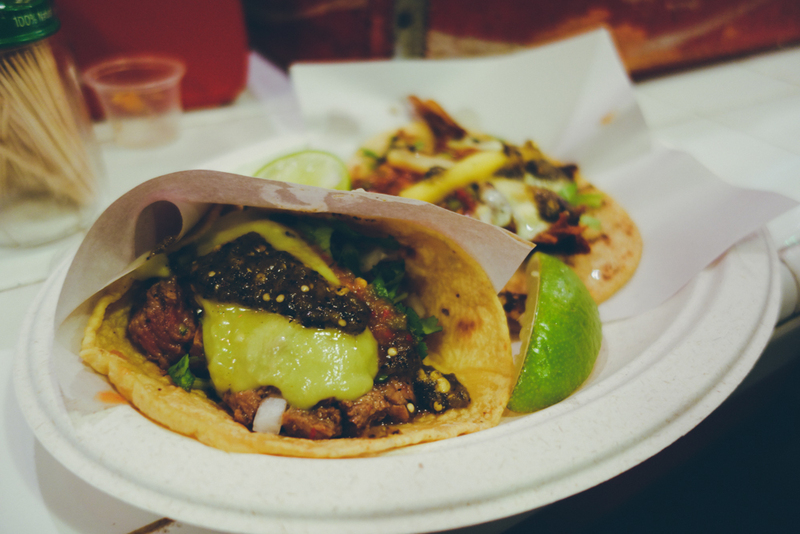 I highly recommend the fantastic tacos from Los Tacos No. 1, so good that we had to go for seconds. Amazing doughnut alert! I'm not exaggerating, these are so good. They are the perfect size, fresh and made with great ingredients. 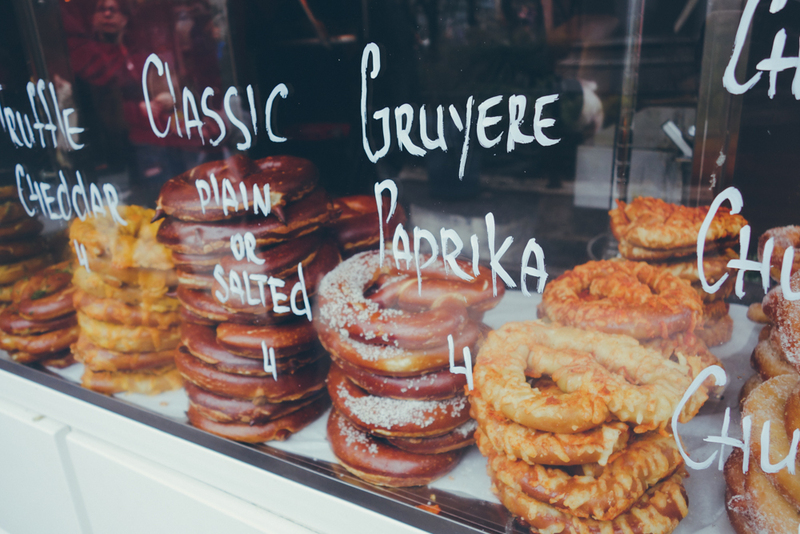 They have different types of doughnuts and flavours which vary according to the seasons. I tried the Christmassy flavours but also their great crème brûlée one, all very good. Doughnut Plant can be found at various locations around the city. This place was recommended to me by Tom from Vice Coffee. 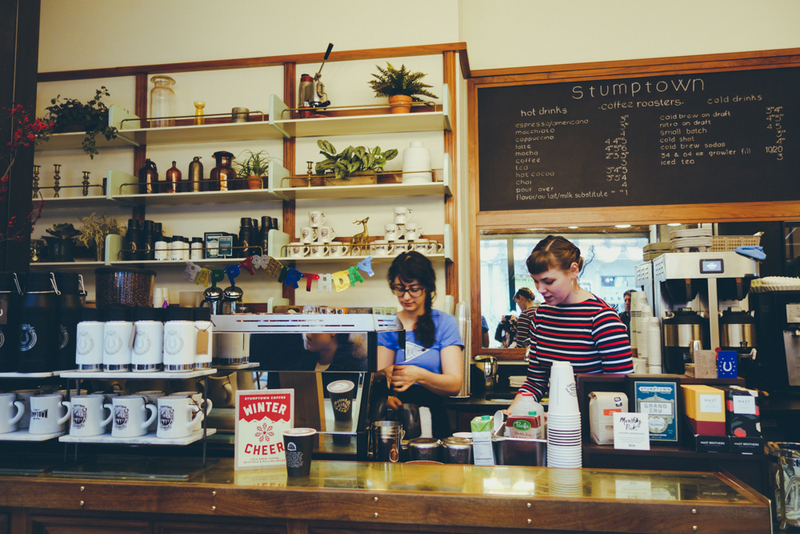 Stumptown is originally from Portland (will talk about my recent trip to Portland soon) and have cafes around the US. 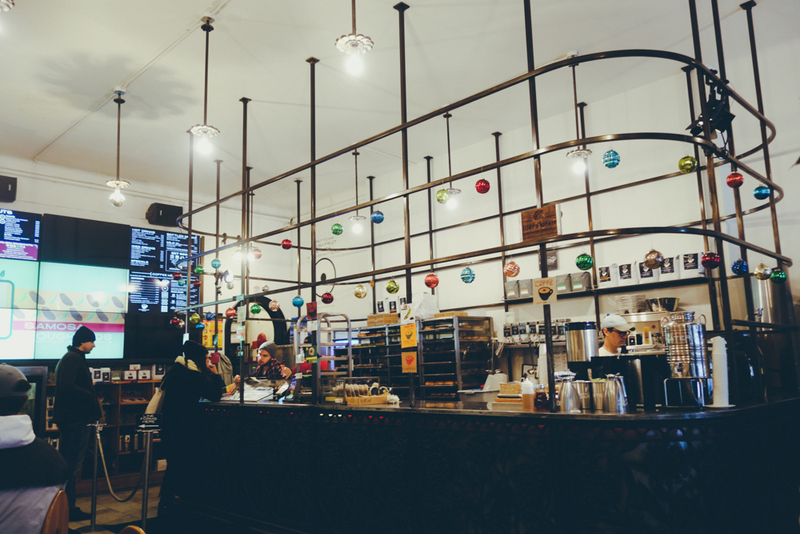 The one I went to is located in the uber cool Ace Hotel, and has a full espresso bar, drip coffee, brew-by-the-cup and also cold brew. 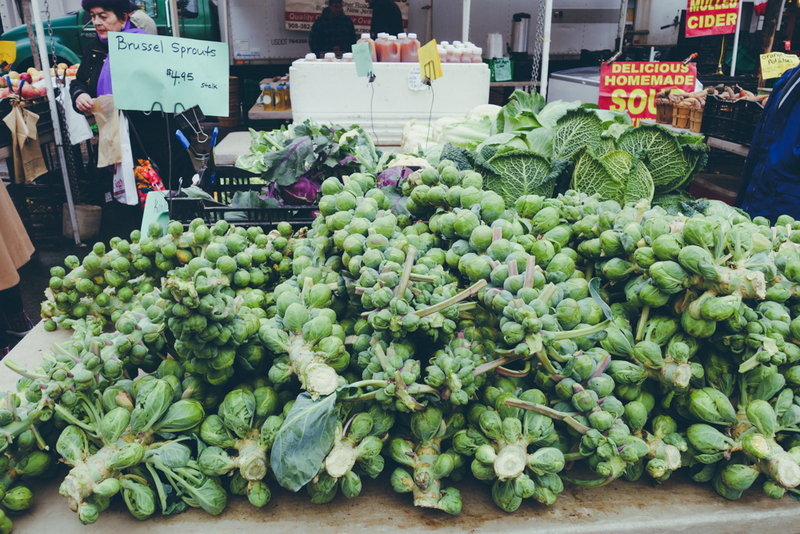 In December you also have the Union Square Holiday Market at the same location with lovely craft and gift vendors as well as food stands (the pretzels are from Sigmund's Pretzels). Dominique Ansel is a very well known French pastry chef and inventor of the world famous cronuts, for which people have to queue in the early hours of the morning if they want one. Well, I didn't want to queue so Mr. FFID and I went in the afternoon and all the cronuts were sold out of course. However, I tried their hot chocolate and one of the seasonal pastries and was transported back to France. Great if you're looking for a sweet treat! On our first night in the city we found shelter from the snow in this lovely craft beer pub in Hell's Kitchen. 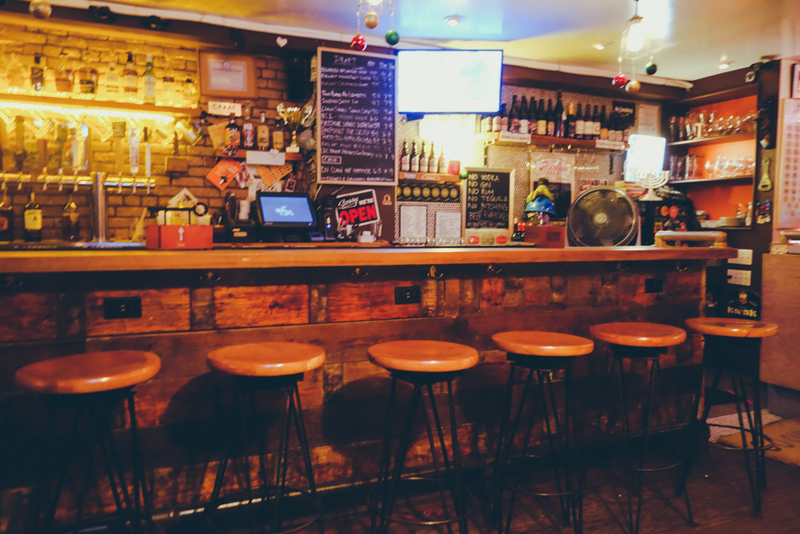 There are many touristy bars in that area but this one is the real deal with a large selection of craft beer on tap and numerous fridges full of bottles. The atmosphere is laid back and it's filled with locals, I think we were the only tourists in there which was great. 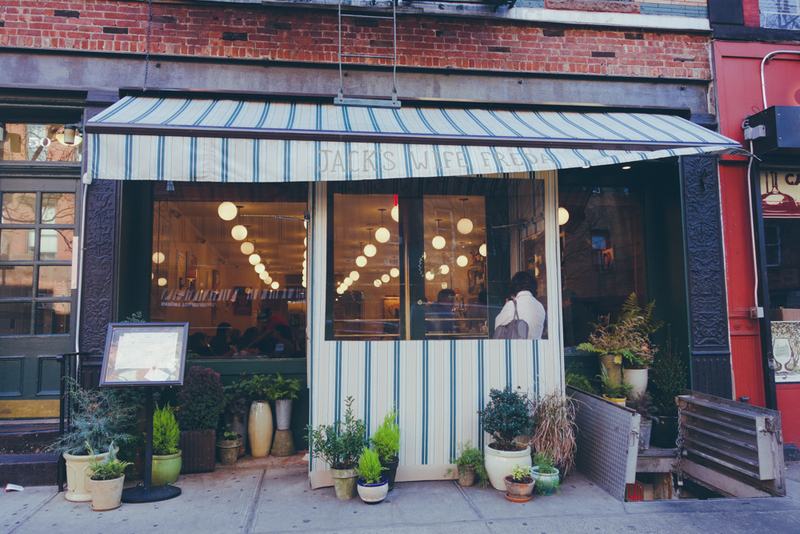 Well, I hope you enjoy my list of places to eat and drink in the Big Apple!